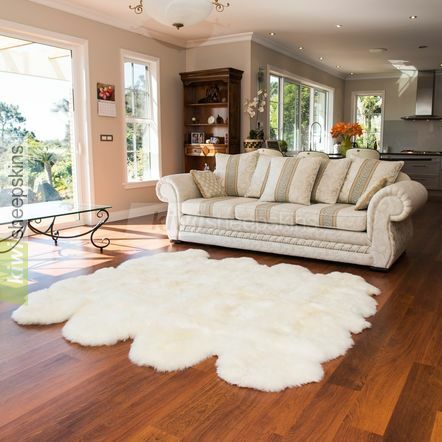 8-Pelt Octo sheepskin rug made from eight carefully matched premium long wool sheep skin pelts. This large lambskin rug that would look great in a large room. Ideal for large rooms or big floor spaces, these superior quality sheepskin pelt rugs are made from eight carefully matched long-wool sheepskins. Naturally wonderful for your home. 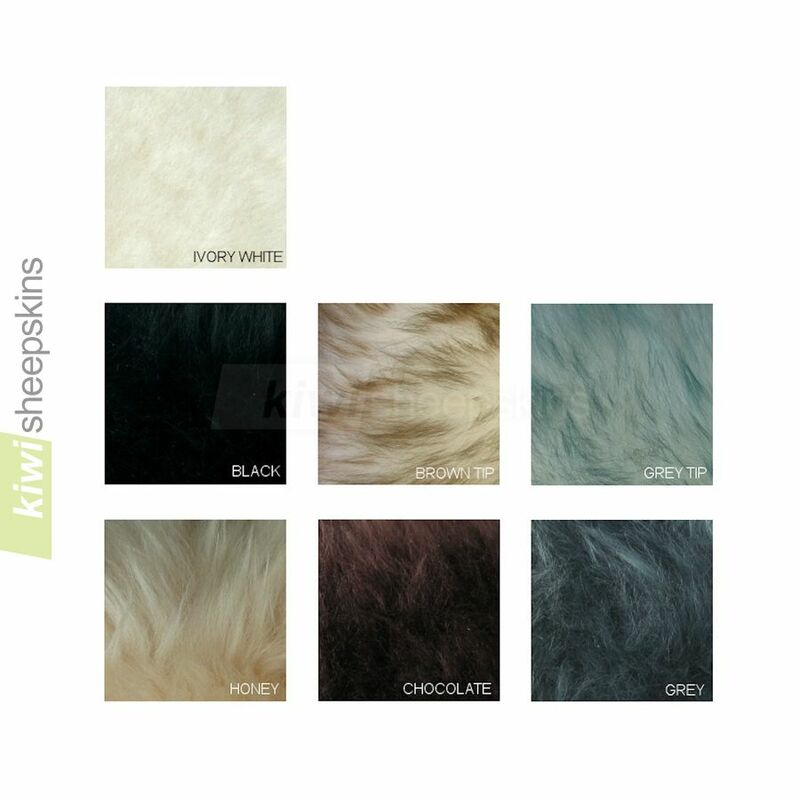 To our customers' delight, our New Zealand tannery consistently provides the best sheepskin rugs. Received the (Octo Chocolate) sheepskin 3 January. I have it on my bed to help with the chronic pain I suffer. It's absolutely amazing, so beautiful to sleep on & has helped a great deal...worth every cent. My thanks to all those who made it, A1 quality workmanship. LOVE IT!!! Thank you. I just received my 8 piece sheepskin rug and it is so beautiful and soft. I'm looking forward to those cold Canadian days when I can just curl up on this! Received the (Black Octo) rug yesterday, beautiful rug and fantastic service. Telling all my friends. THANK YOU!! THANK YOU!! First of all, what quick delivery. I ordered my rug on a Tuesday and it was laying on my living room floor the next Monday (and I live in Denver, CO). Amazing! Plus, you saved me a ton of money. When I shopped locally for an Octo sized Sheepskin Rug, they were at least twice the price of yours. And talk about beautiful! I took it out of the packaging, spread it out on the floor and laid on it for at least 10 minutes. It was so full, plush, soft, and cozy! I just cannot really express how truly happy I am with this purchase!! THANK YOU!! I received my rug and it is beautiful! Thank you for an easy transaction and super fast shipping. Rug has arrived (very prompt!) and is just beautiful. My Daughter is enjoying it as I write. Thank you so much for your help in getting this to me quickly. Much appreciated.